... One of those days where everything seemed to go wrong or one catastrophic event happened that changed your life forever. You question the reasons for why things around you are falling apart. Is it possible that the bad day you had has a purpose? A purpose in your life and perhaps you are taking the long road to a destination that at the moment is unclear. Is it possible that in a year from now you could be grateful for this very experience? Maybe the experience changed you in such a way that today you can see the reason for the pain. Perhaps the universe has a grand plan for you and your life and this situation is necessary training? Is it possible to feel gratitude now for your current situation? In the heat of the storm can one be grateful? I am a huge advocate for action. Action cures fear. Action takes us out of our heads. Action is better than reaction. The list goes on and on. However, when it comes to getting through storms in our lives one needs to be conscious and think, not drift. Drift into the past or drift into the future but to think in the here and now. Because thinking, especially thinking about what one is grateful for is extremely powerful. Grateful thinking is associated with increased levels of energy, optimism, and empathy. Gratitude will be the saving grace in your storm. Thinking in tough times is more important than action, to really think. Here is one way I have found to get through a tough day. When in your life did you feel you were guided? Maybe there is more than one occasion you felt the hand of the universe on your back. Put your hand on your heart, breathe in deep. Think of the coincidences. Were any of these situations painful, confusing or difficult at the time but have turned out to be blessings in disguise? One of the great blessings of getting older is that we get to see life unfold. These memories that you are now having, at the time they occurred could you see the possibilities that came out of those situations? Probably not. We are not able to see through the pain. I have realized this: You can’t do anything about the past. You can’t do anything about the behavior of others. You don’t control them. But you do control your own thoughts. So be grateful for everything that comes your way. Our brains create memories positive psychologist Shawn Achor states that if we write down 3 things every day that happened within the last 24 hours and why we are grateful for them our brains will then double the meaning making us happier. Gratitude changes the neuro pathways in our brain. Here are a few gratitude quotes to get you started. So the next time you’re having a bad day, cure your thoughts with gratitude. Write down what you are grateful for in your life. You’ll find that it’s often the little things that we take for granted. This is an easy life. A great life. And when you understand that, when you realize the incredible abundance that you have, then you can never have a bad day again. Pamela Dale is a certified life coach who guides women through transitions in relationships, career and life through developing a stronger sense of self, igniting their personal power, and connecting them to their values and inner purpose. 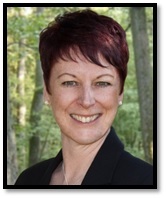 Humor, compassion and fierce honesty are the driving forces in Pamela’s work as a coach. Her coaching sessions are known for being inspiring, energetic and transformative. I hope you find this post helpful! Let me know what you think by leaving a comment. And if you know someone else who may benefit from this post, please share it with them.